Read about the story behind them in the #ilike pages (English / Deutsch). Chill the dough in the fridge for at least 30 minutes. Roll out, cut out with cookie cutter of your choice & bake for 10-15 minutes at 160C. 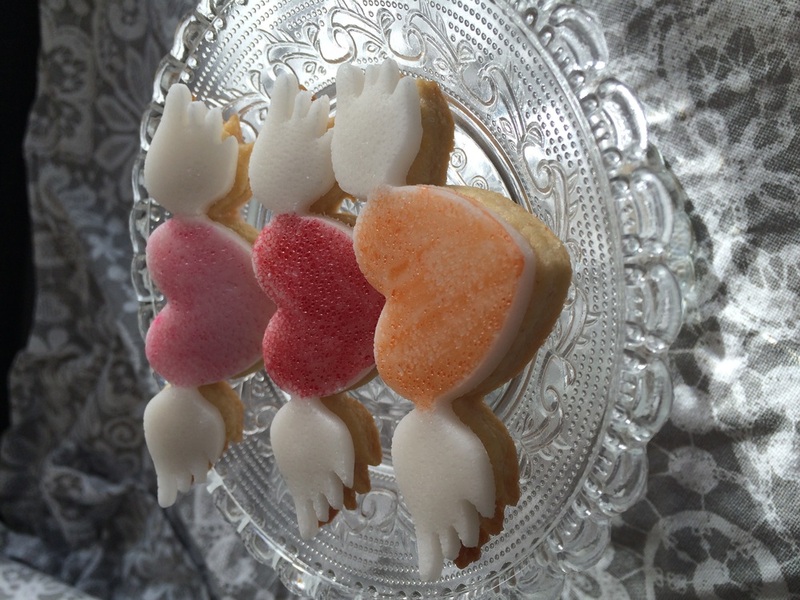 For today's theme I used a heart shaped cutter and I added a layer of fondant for decoration. As "glue" I used a glaze of confectioners sugar and Kirsch. The latter is optional and if the cookies are for kids I recommend using water or ofange juice.